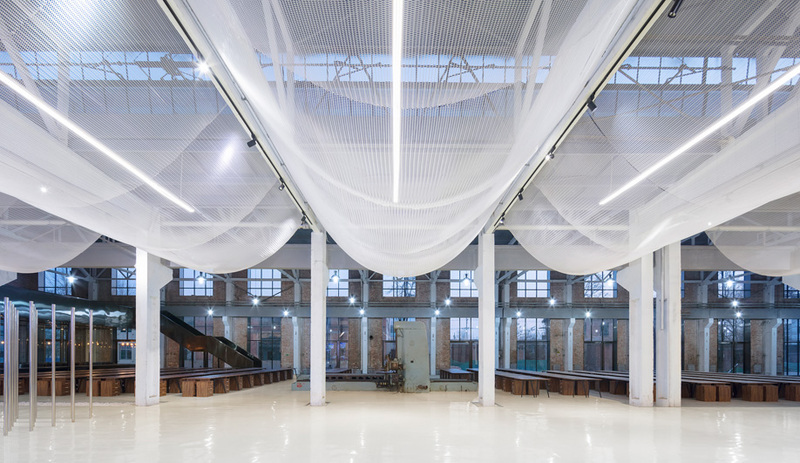 A factory turned exhibition hall in China, Re-veil by Superimpose features a billowing mesh ceiling veil that diffuses light and sound. 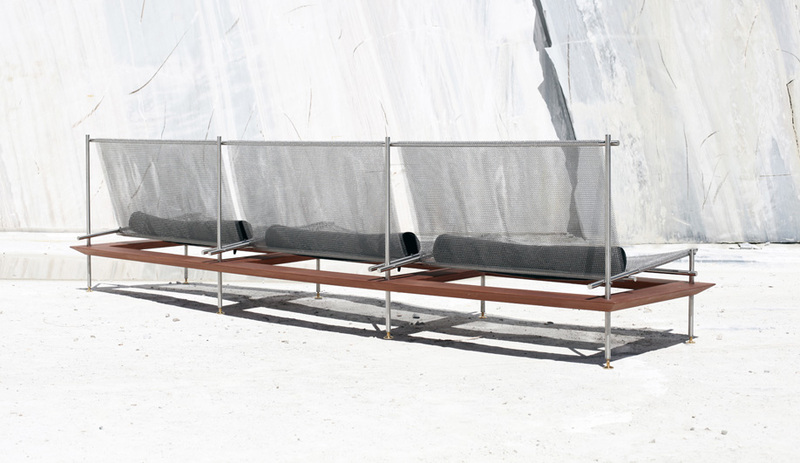 Paris firm Atelier Lavit’s Atem modular outdoor seating treats metal mesh as a flexible fabric. 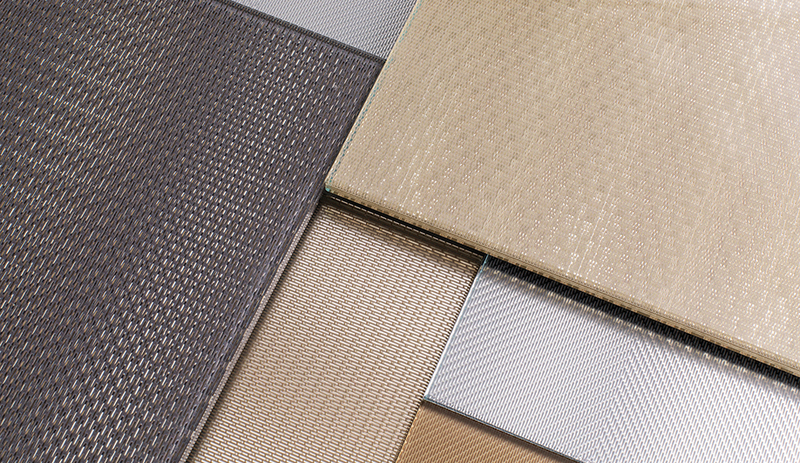 Banker Wire’s new decorative plating options play up metal’s textural qualities. 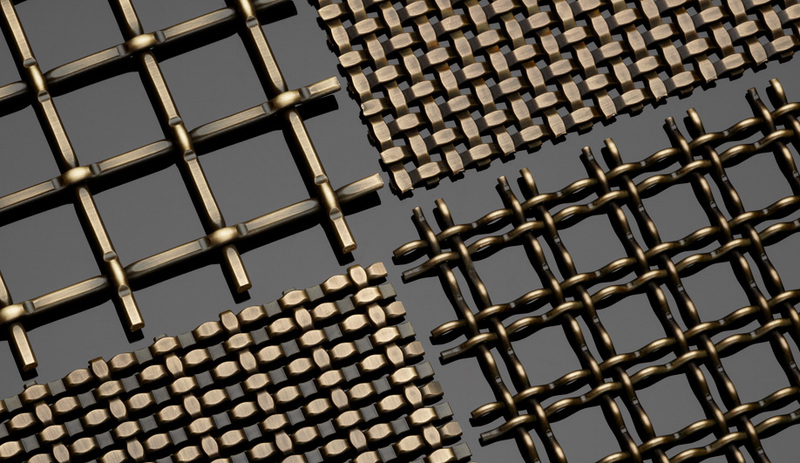 Metal mesh, a material once relegated to stiffer applications is being draped and sculpted with abandon. 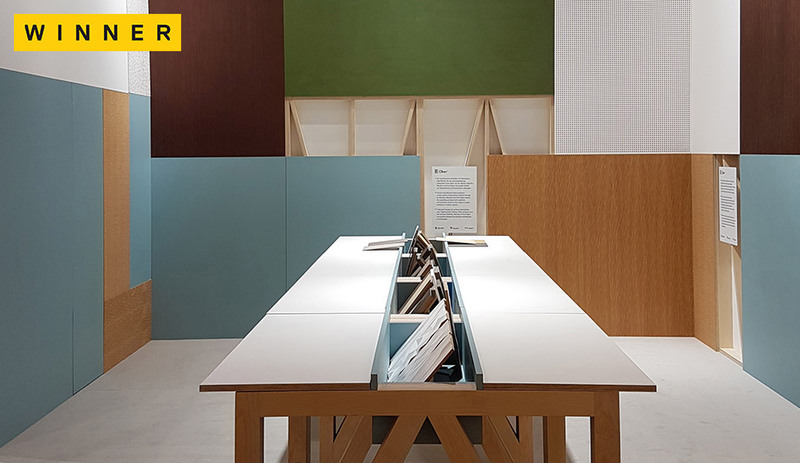 The evolution of metal mesh from steely and stiff to tensile and textile-like was nicely illustrated earlier this year when Hong Kong–based Superimpose Architecture Design Studio unveiled its Changzhi City Expo – a historic factory turned exhibition centre – in China. 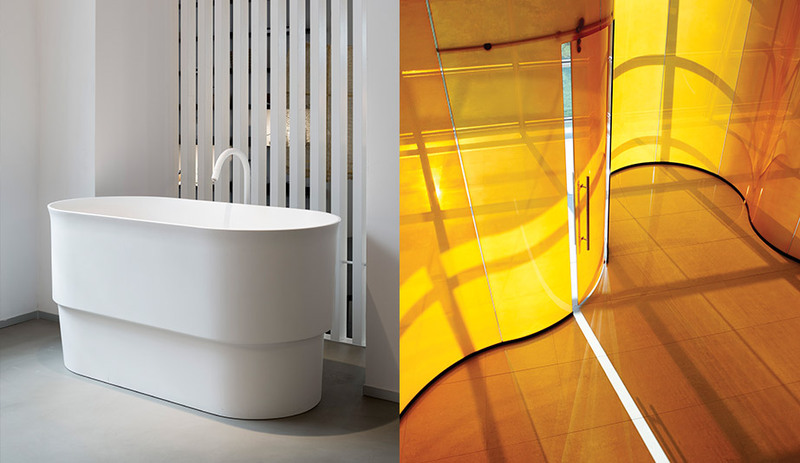 Appropriately titled Re-veil, the ambitious project boasts at least one showstopping feature: a billowy metal-mesh ceiling veil that floats over the hall floor like sheets of gauzy fabric. 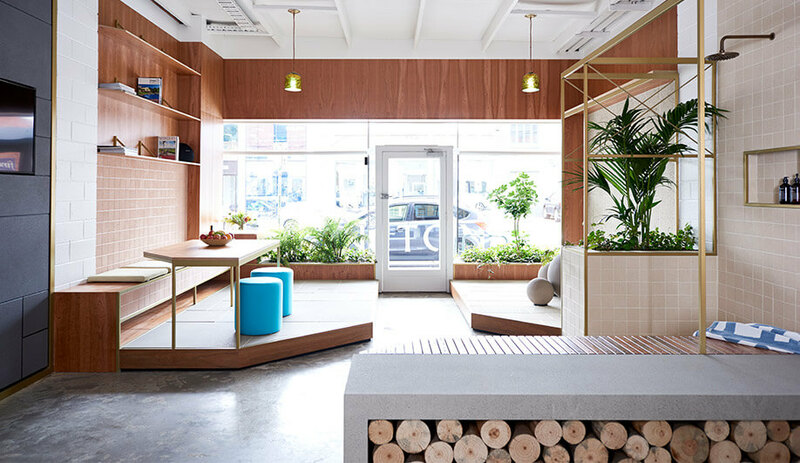 Besides softening up the vast interior space, the flowing mesh filters sunlight from the clerestory windows above. It’s this kind of flexibility – both physical and programmatic – that also prompted OFFICE Kersten Geers David Van Severen to employ metal mesh in Bahrain, where the Belgian firm draped the exteriors of Muharraq Island’s Centres for Traditional Music (one of which is still under construction) in a metallic weave that shades those inside from the harsh Middle Eastern sun and, when raised, offers glimpses to passersby of live performances. 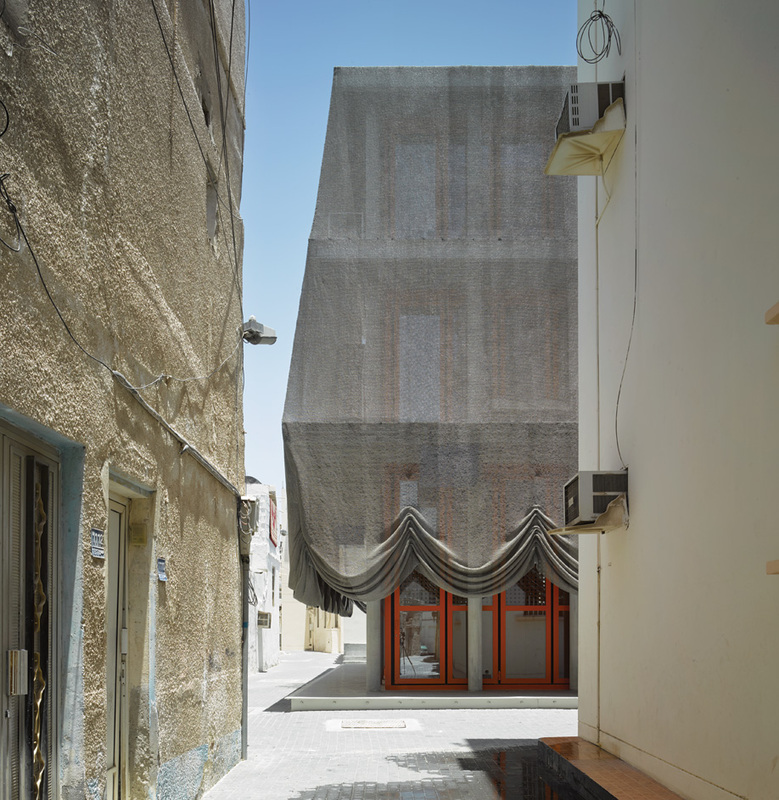 Bahrain’s Centres for Traditional Music by OFFICE Kersten Geers David Van Severen are shrouded in steel-mesh drapery. Among smaller-scale applications, perhaps the most delightful to have emerged recently is designer Rick Tegelaar’s Meshmatics Chandelier for Moooi (see our Q+A with Tegelaar). 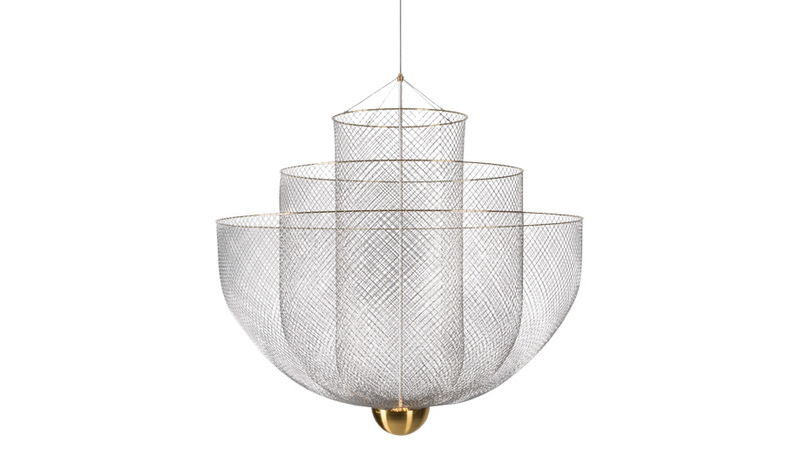 Consisting of chicken wire moulded into a nested trio of round-bottomed baskets, Tegelaar’s design not only elevates the modest material to chandelier status but demonstrates how creative designers and architects experimenting with the medium can get. No doubt many more will be going with the flow.